After serving in the House of Delegates and two terms as Prince George’s County Executive, Rushern Baker is making a bid for Maryland’s top office. He has a serious claim. Prince Georgians should remain grateful that Baker fought against corruption before it was fashionable. Despite opposition from the county establishment, Baker took on sitting Prince George’s County Executive Jack Johnson in 2006. During the campaign, Baker showed he was willing to take the fight directly to Johnson notwithstanding Jesse Jackson’s endorsement of his opponent. Baker nearly won. Had Baker won, Prince George’s would have been spared the humiliating spectacle of the arrest of both Johnson and his wife, Councilmeber-Elect Leslie Johnson, who infamously tried to flush ill-gotten gains down the toilet and hide them in her bra. In contrast, no such scandals or anything remotely close have tainted the Baker administration and Prince George’s is vastly better off for his leadership against corruption. The more one looks into Rushern Baker’s personal life, the more impressive his accomplishments look. Baker’s wife suffers from debilitating memory loss that requires a great deal of care. Until the Washington Post wrote about it long after this family tragedy started, it wasn’t known in the Maryland political world. One might contrast this approach with that of Gov. Larry Hogan, who has tried to turn the serious lemons of his cancer treatment into lemonade not just by comforting other sufferers but by also milking it for every drop of publicity in the public eye and his social media accounts. Baker has one Achilles heel: the public schools. Laudably, Baker recognized that the school system was not providing the education that Prince George’s kids need and deserve. He managed to gain a much more power over the system with a great deal of political assistance from Annapolis. Baker tried to raise property taxes by 15% in a tax allergic county to fund education but was ultimately only able to obtain a 4% raise that went to fund teacher pensions. Reforming schools is a long-term task, not prone to producing short-term gains, which makes the endeavor all the more commendable. Unfortunately, a number of scandals have emerged on Baker’s watch. The county lost its federal Head Start grant in 2016. Grade manipulation led to many students obtaining diplomas that they didn’t earn in violation of county policy. Ben Jealous attacked Baker scathingly for this problem yesterday on Twitter, though Jealous has never had to actually run a county or a school system. Ultimately, the superintendent has been forced to go. The Washington Post’s editorial page’s response in their endorsement to give Baker a pass and say essentially “Well, at least he tried.” I don’t know that Maryland voters will be as forgiving of these problems on an issue for which Baker has taken ownership. Troubling for Democrats, education is Hogan’s weakest issue according to surveys but he might be able to switch from defense to offense if Baker is the Democratic nominee. Notwithstanding this significant problem, even though Baker is not my candidate, he would be a very solid Democratic nominee. Baker has been notably successful at building cross-racial support during an era of increased racial political polarization, as his endorsements from a variety of prominent Democrats attest. Based on the last gubernatorial election, we need a nominee who knows how to reach out. As county executive, Baker has valuable experience has grappled genuinely with issues, like the school system, not in theory but in practice. 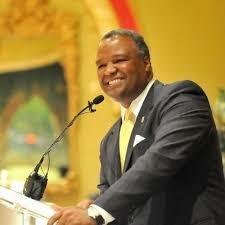 Most importantly, Rushern Baker is an honorable person who has restored stature to Prince George’s County government.